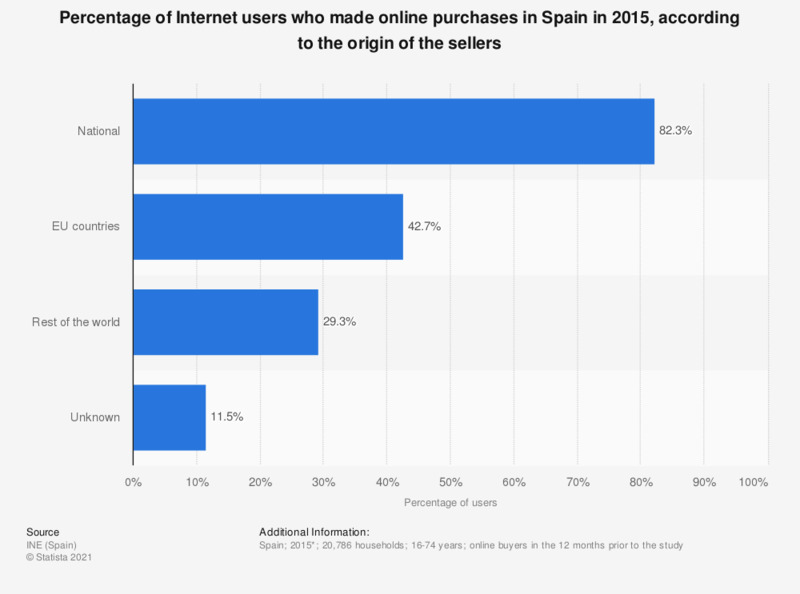 This statistic shows the percentage of Internet users who bought online in Spain in 2015, according to the origin of the sellers. That year, a total of 42.7 percent of online shoppers in Spain admitted buying online from sellers from other European Union countries. * The field work was executed throughout the Spanish territory. The collection period for CAPI centers was from January 20th to March 31st of 2015, while for CATI centers was from February 2nd to May 15th, 2015.